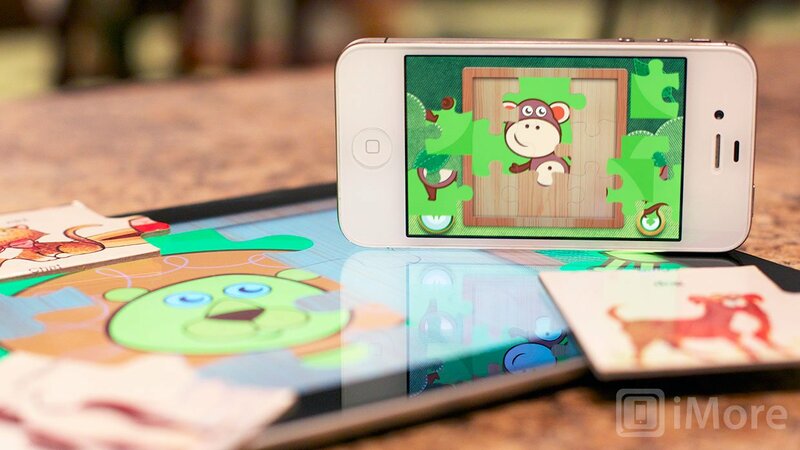 Animal Puzzle for Kids by Play Toddlers for iPhone and iPad is a fun app filled with up to 24 animal jigsaw puzzles. The puzzles are very simple and clearly targeted toward young children. You can choose the difficulty of the level (number of pieces) based on the skill of your child. Animal Puzzle is not only adorable, but a lot of fun and if you play with your kids, you can teach them about animals and the sounds they make at the same time! 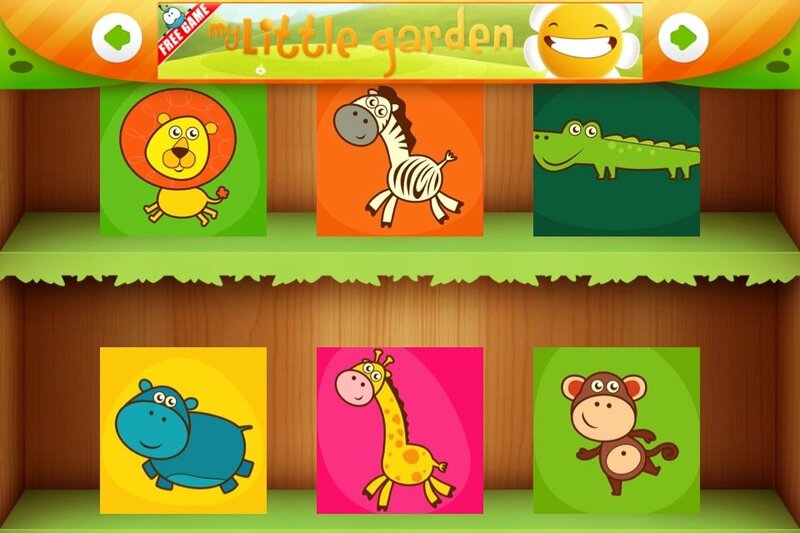 The free version of Animal Puzzles comes with 7 puzzles (lion, zebra, alligator, hippo, giraffe, monkey, and pig). Each puzzle has three difficulty levels to choose from. Level one turns the picture into a 4 piece puzzle, level two uses 6 pieces, and the third level uses 9 pieces. 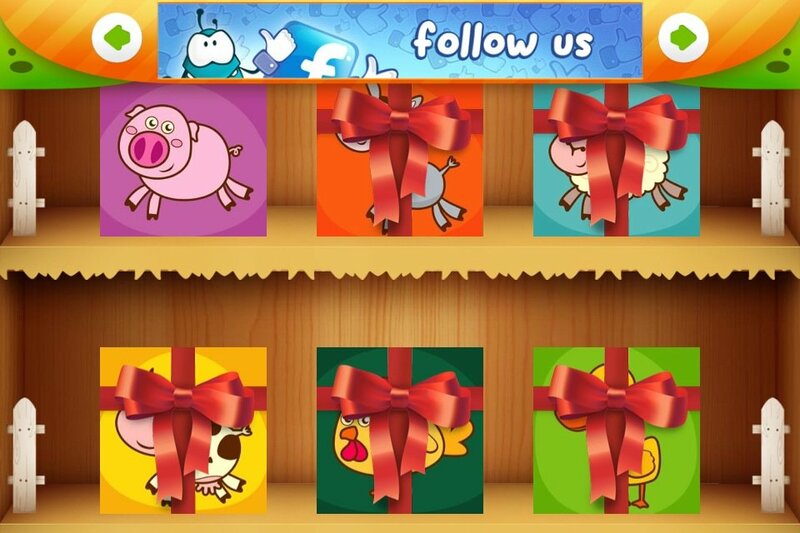 While playing with Animal Puzzle, there is fun, bouncy music playing in the background that every child is sure to love. My 2 year old daughter dances every time she hears it. When you finish a puzzle, the leaves in the background will swing back and forth as if they are dancing and cheering you on. I think it would be great if the appropriate animal sound was played upon completion as well, but I could see how that might be difficult for animals like the crab and octopus. For just $0.99, you can purchase 17 more puzzles to have a total of 24 puzzles. These puzzles include a donkey, sheep, cow, chicken, duck, snow leopard, reindeer, St. Bernard, seal, polar bear, penguin, crab, octopus, fish, whale, sea horse and starfish. 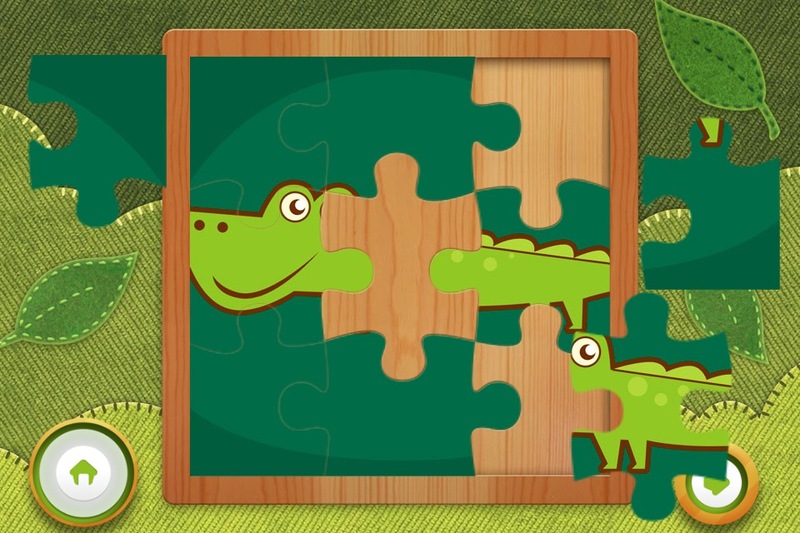 Animal Puzzle for Kids by Play Toddlers is a fantastic little jigsaw puzzle app for young children. My favorite feature is actually the fact that it lacks a bunch of features. If a toddler app has too many features, then the young user can easily get lost and accidentally perform functions they didn't mean to. 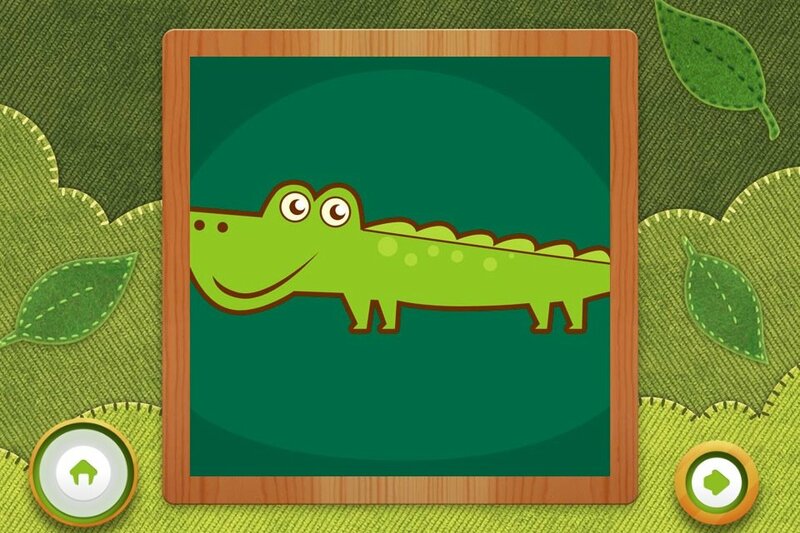 The simplicity of Animal Puzzle makes it a perfect app for little learners.